Getting ready for grad school? Z Prep! tutors can help you prepare for the GRE that is required for admittance to most graduate study programs in the US. Our program identifies your weakest areas up front and then tailors a study program for you to focus on those, while also providing a comprehensive review of all the areas of the test, study tips, homework to help you solidify your preparation and a full, timed practice test at the end of tutoring to make sure you are ready for the real thing. 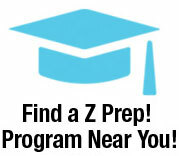 Our tutors are degreed, experienced and dedicated professionals who’ve helped lots of Z Prep! students earn admission to their graduate school programs across the US. Graduate school candidates will need to take the GRE (Graduate Record Exam) prior to admission to most graduate programs. Some programs may use a different exam, such as the GMAT, required for applicants to many graduate business school programs such as MBA programs or the LSAT for law school candidates. Be sure to check with your program entry requirements. With a test covering such broad skill areas, having an organized approach and good time management is essential. Our Z Prep! tutors will help you review basic material, learn and practice analytical skills and master test taking techniques. We’ll provide plenty of practice questions and time to discuss and review your progress so you can stay on track. 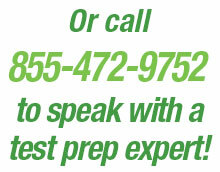 Call or contact us today for more information on our GRE tutoring services and get one step closer to graduate school. For more information about the GRE, CLICK HERE. Get a FREE GRE Test Prep Consult!